Helen Simpson, from the Mushroom Shed, tells you all you need to know about growing strawberries. She has also written articles about growing basil, brassicas, chilli, coriander, cucurbits, garlic, ginger & turmeric, mint, raspberries, rhubarb, tomatoes and lesser known herbs. With the leaves now falling from the trees, some plants will be starting their winter dormancy in a few weeks. Strawberries are one of these plants. This means that it is an excellent time to plant strawberry runners. Strawberry plants can be grown from either seeds or runners. Growing from seed is time consuming, as the plant can take up to 2 years to fruit. The seed is small, fiddly to handle and germinate and can be hard to find. However, for those who like a challenge, after chilling the seed for 2-4 weeks in a closed container in the freezer, plant the seed in a good seed raising mix in small punnets or containers. Sieve some of the seed raising mix over them to lightly cover, and then keep moist. Seedlings can take up to 2 months to appear. Transplant to a larger pot when around 3 leaves have formed. The seed is usually started in Spring or Autumn. The easiest strawberry to grow from seed is the tiny Alpine strawberry and its seed is available from many suppliers. 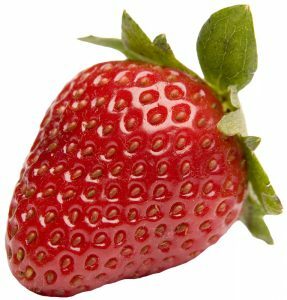 I have also heard of people picking the seed off the outside of strawberries with a toothpick and attempting to sprout plants from this seed. However, I have no experience with this method. The alternative way of growing strawberry plants is from runners or established plants (which have themselves been started from runners). A ‘runner’ is a long shoot sent out from the original strawberry plant, which can itself establish a new plant once it touches the ground. Runners are available from around mid-May onwards and should be purchased as ‘virus free’ to prevent receiving a diseased plant. Runners have little or no leaves and consist of a ‘crown’ and root system. They are the strawberry plants’ dormant stage. Select runners which are moist, as this is an indication that they have been properly stored in a cool room before sale. Runners with dry roots may not establish. Plant as soon as possible after you purchase them, keeping moist until you do. Watch out for the formation of a grey, furry mould – wash off if some of this forms or, if badly affected, discard the runner and start afresh. Plant the runner with the roots under the soil level and the crown sitting on top of the soil. Do not double back the roots when planting – if they are too long, simply trim to around 10 cm. The most popular way to plant the runners is in zig-zag shaped rows about 30-35cm apart. If planting in the garden, prepare the soil as you would for a normal veggie patch – friable, with compost, manure, lime, etc. However, avoid putting fertiliser directly into the hole in which you plant the strawberries – too much nitrogen can produce huge leaf growth and not much fruit. Mulch with straw to keep dirt off plants and moisture in. Strawberries can also be planted in pots or hanging baskets, in which case a good quality potting mix can be used. Liquid fertilise every month or so. Plant in full sun if possible, however some shade will be tolerated. Slugs, birds, lizards and all manner of critters enjoy eating strawberries. This can be a constant battle. Netting will prevent birds, as will growing in hanging baskets or containers on walls where birds cannot easily perch. Nets will also deter possums. Birds can be tricked by growing the white strawberry (more about coloured strawberries below), so they don’t know it’s ripe. Use your favourite method of slug prevention. Strawberry flowers appear on plants around September/October and plants will fruit from November onwards, continuing into March. After plants have finished fruiting, you can cut them back to around 10cm – re-planting any runners if more plants are desired. Every 3-4 years, consider replacing your plants to prevent virus build-up and plant in a new bed. Strawberries come large or small, in different colours (white, pink, red), and with different flavours. The Alpine strawberries are the smallest. Red Gauntlet and Tioga are some older, reliable, commercial varieties, of which Tioga is sweeter and Red Gauntlet less flavoursome. Sweetheart produces a heavy crop with small, sweet fruit. The Albion strawberry is a more recent variety which is day neutral – that is, flower buds commence with less regard to day length than for other varieties. This enables more continuous fruit production. The Albion strawberry has a very sweet flavour, so is ideal for desserts. And finally … how many plants? One plant is will not provide a family feast – I would try at least 10 plants and some people recommend 30. Of course, this depends how often you like eating them! Hi Rebecca, you can plant them straight into garden beds. The good news is they unaffected by frost. Over winter, they will grow very little (if at all) and their leaves may go brown as they go into a winter dormancy. Their leaves will then grow again in Spring. Regards, Helen. I am situated on a farm in north eastern victoria. I have built six raised garden beds approx 10×3 feet and 3 feet high. I have about 50 strawberry plants in one bed and they have produced plenty of fruit and they have also produced plenty of runners which I am separating and re-planting for next season. Most I will give to my local community and friends. Is it wrong to re-plant in the same bed or where I grew tomatoes last year even though I refurbish these beds with mushroom and sugarcane compost each year (plus chicken /cow/sheep manure)? I would appreciate your thoughts and advice. I have my strawberries in one of the fruit boxes and this is their second year. Over the winter they had so many runners which I left so that the box is now just a mass of plants. Last year there were many strawberries but this year it is mostly leaves. Should I thin the box out do you think? I am wondering if not enough sunlight is getting to them. When is the best time to germinate strawberry seeds in Dromana, South Eastern Victoria. Any time during winter. But do so in seed trays that are protected from the cold. See https://www.gardenate.com/plant/Strawberries%2B(from%2Bseeds). Hi Peter, I agree with Guy. Additionally, you’ll need to be patient to get a sizeable plant. Regards, Helen. How to take care of them in winter? Hi Helen, I’m in the north part of the Mornington Peninsula and it’s the end of June and none of my strawberries are even remotely dormant – some are flowering (alas not really fruiting) and some aren’t but none of them have lost any leaves. Anyhow … I’d like to improve the soil they’re in. Can I apply aged horse manure or will that result in too much green growth? I was planning on adding pine needles over the top as well. If you wish to dig up an existing plant crop & re-plant in a new area (having very few runners due to mulching), can the original plants be freshened up by trimming & splitting & then be re-used? The original patch is now 3 years old. Fine, deep seated, matted weed roots are a constant problem since the time of the original planting. Yes, if your plants are looking healthy then they can be trimmed, split, moved and re-planted. The best time to do this is winter, during their dormant period. If they look unhealthy or diseased, I’d start with a fresh lot. Regards, Helen. I have been told to remove runners from plants to encourage more fruit. Is this correct?